Home Auto Insurance Auto Insurance News Safe to Buy Used Car Seat? The best way to save on baby gear is to buy secondhand. You can save 75 percent or more off retail prices if you buy used clothes, strollers, and toys — and it’s not like your baby will know the difference. But what about car seats? 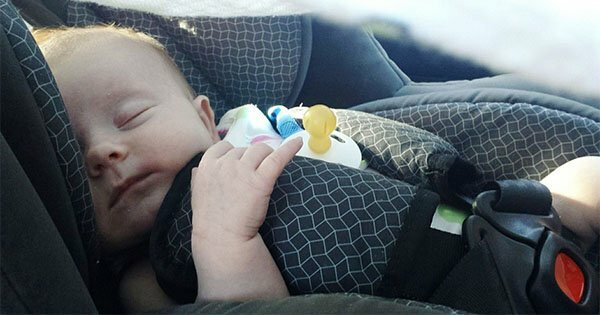 Buying a used car seat is a different matter because your child’s life depends on it. In a crash, a car seat reduces the risk of death to infants by 71 percent and to toddlers by 54 percent, according to the Centers for Disease Control. However, for a car seat to be effective, it must be federally approved, properly secured and in excellent condition. Is it ever worth buying a used car seat? Here’s the answer. First of all, you need to know that most safety experts do not recommend buying a used car seat. “There is no guarantee for safety when purchasing a used car seat at a garage sale, flea market or thrift store,” according to SafeNY. Also, new car seats are not prohibitively expensive. While it’s possible to spend $300 or more on an infant car seat by high-end makers like Orbit Baby or Peg Perego, there are plenty of options under $75. That being said, if you’re set on buying a used car seat, here’s how to do it. 1. Make sure you know the complete history of the car seat. Ideally, you’ll know the person selling it to you, and you can confirm that the seat has had only one owner. You’ll need to verify that the seat has never been in a car crash. Even a minor accident can compromise the integrity of a used car seat. Do not trust the assurances of an eBay or Craigslist seller, or a thrift shop manager. you have no way of knowing if that person is trustworthy. 2. Do a close visual inspection before buying a used car seat. A used car seat may look pretty grody. Keep in mind that stale Cheerios can be brushed away and stained covers washed. What you really need to pay attention to is the condition of the seat itself. Are the straps frayed? Is the buckle cracked, bent or broken, or does it have some unidentifiable goop in it? Is the plastic or foam cracked? If you answer yes to any of these questions, don’t buy it. Even if the used car seat is being sold “new in box,” you still need to do this close inspection. 3. Check a used car seat’s expiration date. Just like bike helmets — and eggs! — car seats have an expiration date. Look on the underside of the car seat for a label with the date past which the seat should not be used. The Car Seat Lady has a detailed guide to finding the correct date on a used car seat. If all you see is a manufacturer date, you can estimate the expiration date to be six years after that. Keep in mind you’ll be using an infant car seat for about a year, and a toddler/convertible car seat for two to three years. Booster seats are used for several years until your child is at least eight years old. Some parents are suspicious that the expiration date is just a ploy to sell more car seats. They’re wrong. While an expired car seat may look perfectly fine, it may be an outdated, unsafe style or have invisible material damage. Don’t risk it. 4. Check for missing parts. The first part you need is the manual, which is typically a small booklet that fits into a notch on the back of the seat. If the manual is missing, however, that’s not automatically a deal breaker for buying a used car seat. You can typically download the manual from the manufacturer’s website if you have the model number. If a part is missing, you can most likely order it from the manufacturer. But before you do that, ask if it’s worth buying a used car seat if you have to spend extra money to make it safe. 5. Check for recalls before buying a used car seat. You can check car seat recalls in the last 10 years on the National Highway Traffic Safety Administration’s site. Don’t skip this step, or you risk buying a used car seat that has known safety problems. 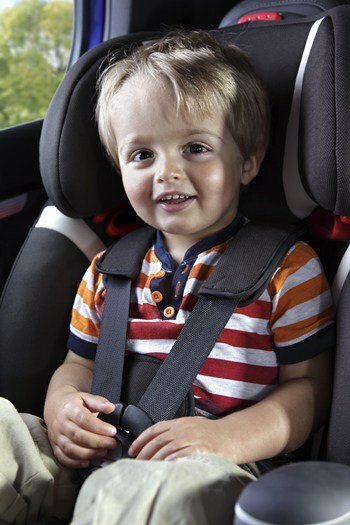 The biggest recent recall occurred in 2014, when Graco recalled several models made between July 2010 and May 2013 for having a harness buckle that could get stuck in the locked position. Buying a used car seat that has been recalled may be all right if you can obtain an approved replacement part from the manufacturer. Graco agreed to provide a replacement buckle at no cost to anyone with one of the recalled seats, even if you bought it used. Buying a safe car seat and installing it correctly isn’t the only necessity to keep your child safe. You also need to ensure you buy a safe car to drive them in. Make sure to avoid these five cars that are the worst cars for families.